Please upgrade to IE8 or higher to see this page rendered using web standards (and to keep your computer more secure!). The Earth extends for thousands of kilometers beneath our feet. Dynamic processes operating in the Earth’s interior shape our world, build continents and ocean basins, concentrate natural resources, and generate hazards that impact society. Seismology, the study of earthquakes and elastic wave propagation through the earth, allows us to see into the earth revealing the structure and inner workings of our planet. 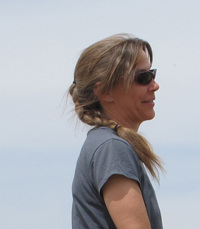 My research focuses on the structure and evolution of continental lithosphere, interactions between solid earth and surface processes, and faulting and deformation in the earth's crust and mantle lithosphere. As an observational seismologist much of my work involves the deployment of temporary seismic arrays in active collisional orogens and continental margins where dynamic processes can be observed in action. My current research uses earthquakes as sources to image earth structure, study earthquake source mechanisms, and infer physical properties. I also use active source reflection seismology and ground penetrating radar (GPR) to image the near-surface environment with applications to active tectonics, hydrology, and climate change. My research is collaborative with colleagues from other earth science disciplines at Lehigh and at other instituions in the US and abroad. In addition, I'm interested in how recent advances in seismic instrumentation and monitoring can be leveraged for effective hazard mitigation and risk reduction, particularly in emerging countries where rapid growth and economic development provide tremendous opportunities for advancement. Funding for the following reserach is provided by the US National Science Foundation Directorate for Geosciences, Division of Earth Sciences. 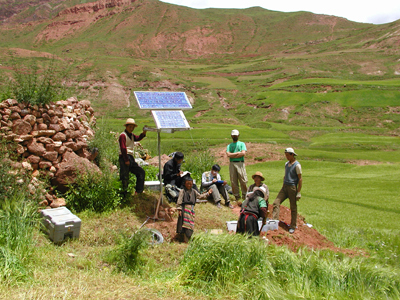 Installation of a temporary broadband sesimic station in Tibet. If you're intellectually curious, interested in working across traditional boundaries and across cultures, and are intrigued by how the earth beneath our feet shapes our lives on its surface, come join us and pursue studies in seismology in the Department of Earth and Environmental Sciences at Lehigh University.